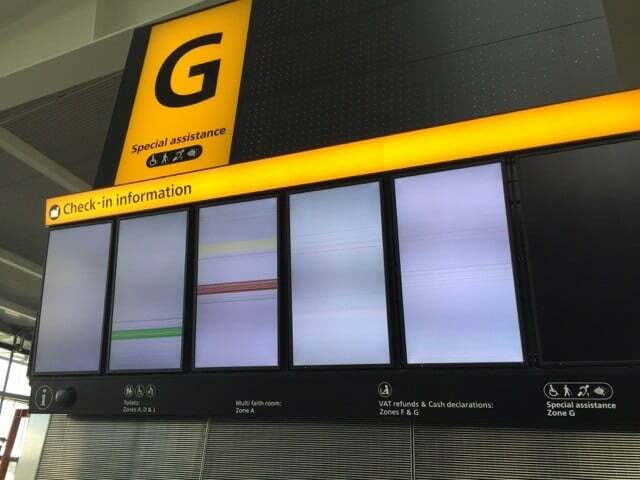 This digital signage fail was sent to us from @Haje, who was waiting at a large airport and noticed almost every digital signage screen not working. 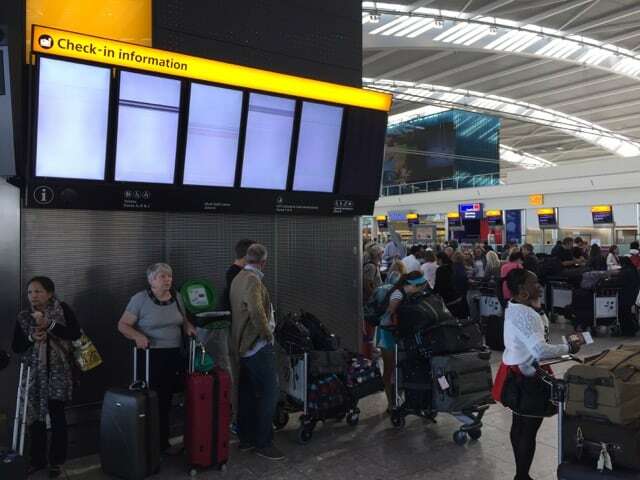 Apparently, the equipment in the airport suffered a power spike which caused a lot of the equipment to fail. This resulted in pretty much all of their digital signage system from working which is evident in the photos. 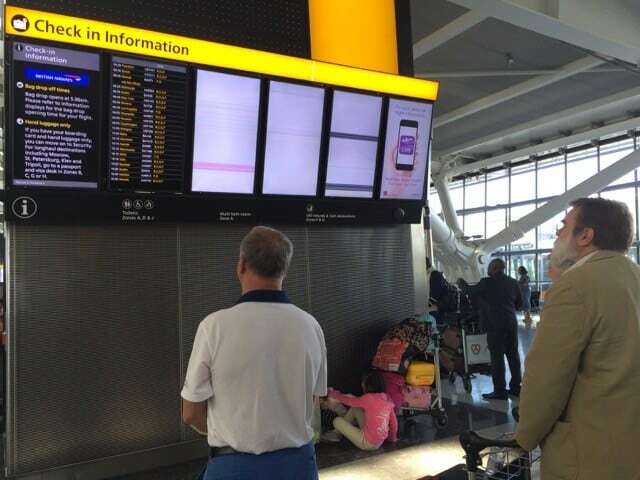 In airports, digital screens are primarily used for displaying Flight information so having these functioning is crucial! From the photos it appears that the digital screens themselves did not fail so this could possibly mean the digital signage player or the Video extender connected to the digital screen is at fault. 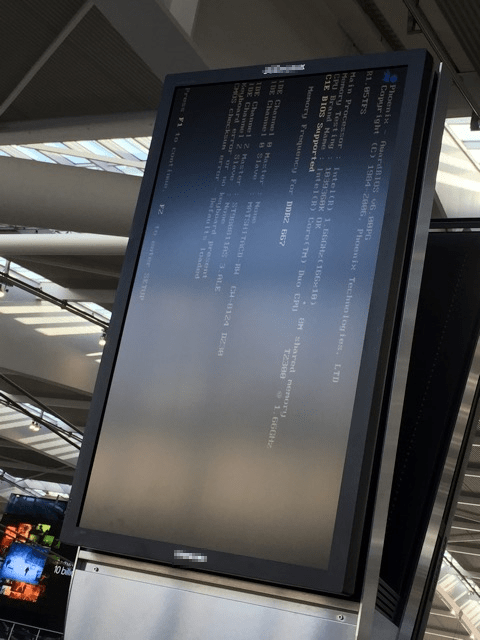 For a large airport, my guess is a Video Matrix Switcher, coupled with Video Extenders would have been used to control which content is displayed on a group of screens – this hardware devices probably failed. Use power surge protectors where possible. This will help prevent equipment from getting damaged by a voltage spike. 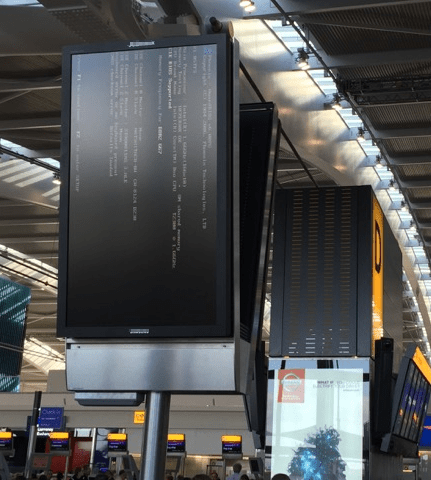 The issue with the digital screens displaying the startup failure can be easily fixed by connecting a keyboard to the digital signage player and pressing F1. However, we’ve never had a keyboard permanently connected to a digital signage player for any of our installations, especially because the digital signage players are not easily accessible. My guess is that the airport is using old digital signage players with old motherboards! Most current motherboards no longer show this error message. If I recall correctly, one way to solve this is to disable “displaying errors option” in the BIOS. Digital Signage is very useful in now a days daily life. 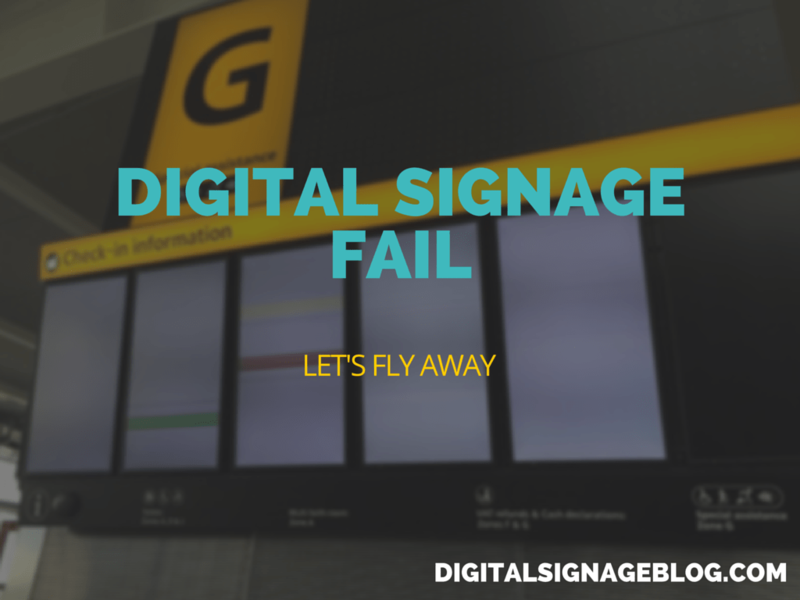 Its a digital world now.Advertising with digital signage will attract the people who visit in that brand or airport an all type of oplaces where digital signage can deployed. 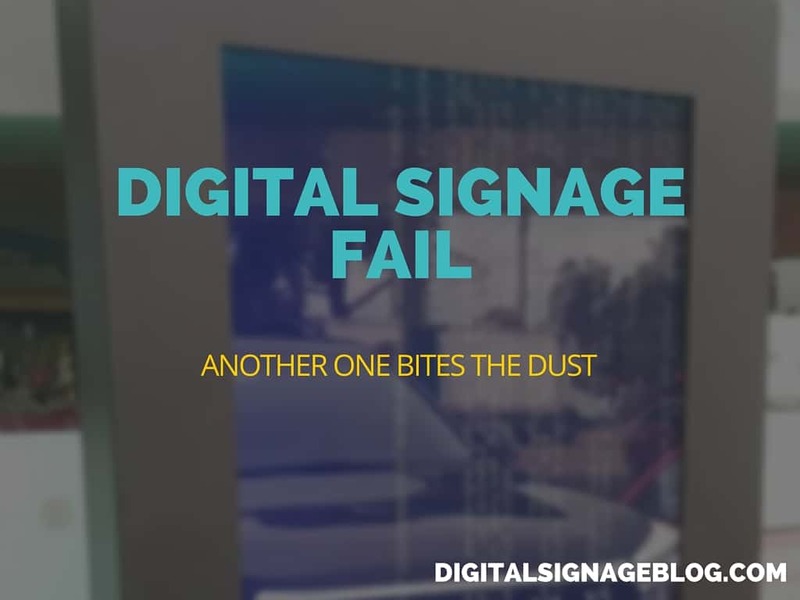 Yes I agree that digital signage is now everywhere and more people are noticing this more and more.